I love this find. I read the full article over and over and never made sense of it but these captured phrases struck me as so beautiful (especially the eye cream one). P.S. To view the images larger (making them clearer to read) right-click them and select ‘view image’. 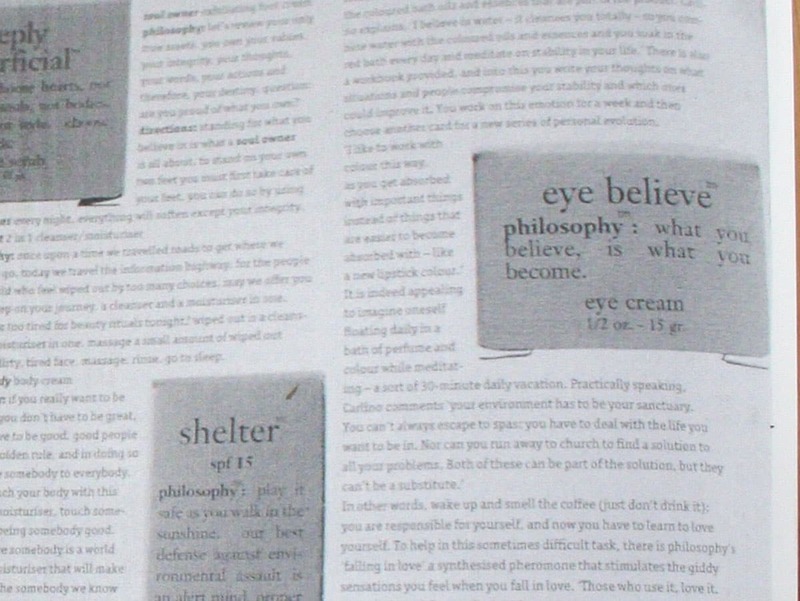 This entry was posted in Blog and tagged eye believe, eye cream, phrase, saying. 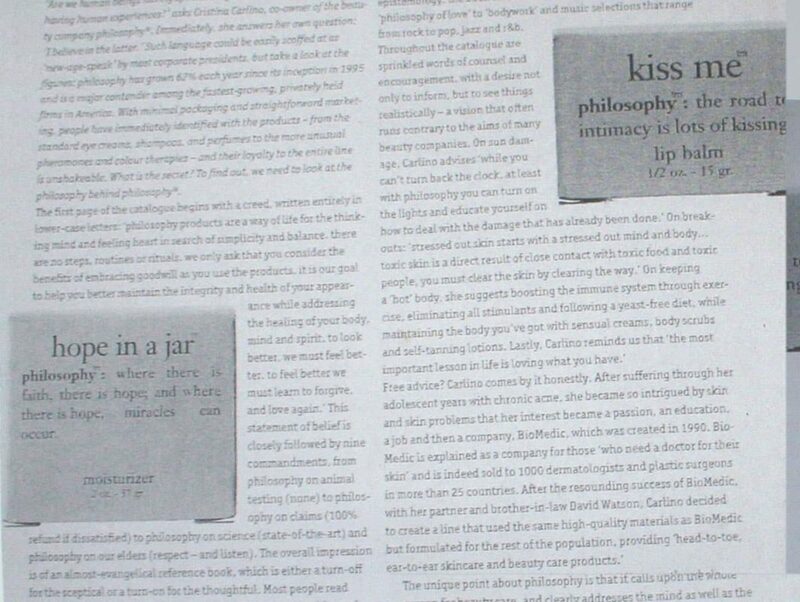 It is actually not from Philosophy but (I think) from ‘View Magazine’. I am not very good at copying the references for my inspiration books (it is something I should do though becuase if I ever want to use the articles I paste in I need to be able to reference them). Ummm…. I’ve made a note of that now for the next stick in session.